Testing your generator: It may start, but will it carry the load? Data centers and health-care facilities have some of the best and most thorough procedures for testing their emergency on-site power systems (EPSS). For obvious reasons, these operations must have 100% confidence in their critical systems, and they invest heavily to insure that these systems will operate as expected, when needed. Large facilities are often regulated and mandated to have sophisticated test procedures in place. EPSS testing for large facilities can involve basic testing, which is generally held on a weekly basis, plus much more rigorous testing held quarterly, semi-annually or annually. Mission-critical facilities usually hold extended tests that require the emergency generators to run for as long as 4 hours under varying loads. During these tests, they also cycle their distribution gear through various test scenarios. For health-care facilities, local accreditation agencies often require monthly test events. Smaller operators, on the other hand, often develop their own test methods and testing schedules. While monthly testing to the depths seen at health-care facilities is not required, smaller facilities should still develop a proper test schedule for their equipment. After all, these smaller facilities also have important reasons for requiring steady and continuous power. Depending on the extent of these procedures, testing can clearly become a costly endeavor for smaller organizations. However, a simple and relatively inexpensive method is typically within their reach. 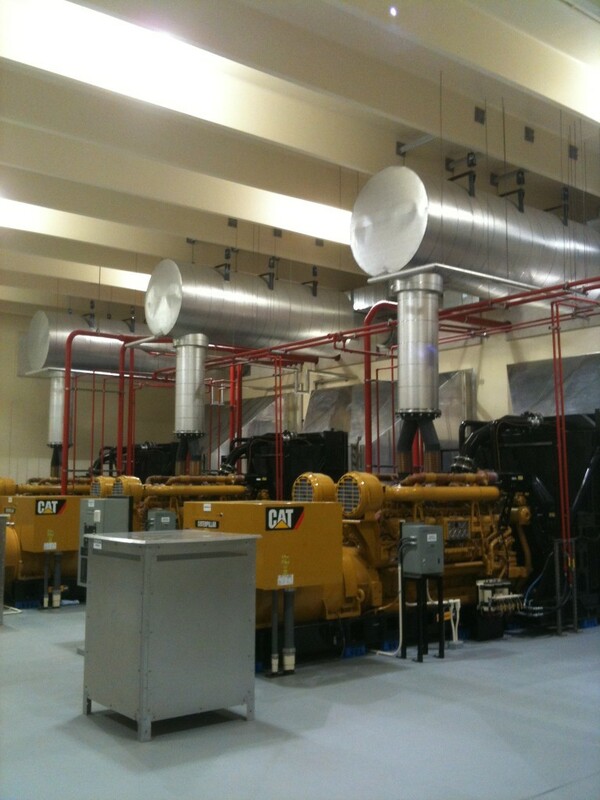 One of the basic building blocks of an emergency generator’s test program is the “plant exerciser”. The exercise function is a basic component of virtually all emergency power systems, and it is a standard feature on automatic transfer switch equipment. The exercising function is designed to start the emergency power system, and then proceed to switch any connected loads from the normal power source to the emergency power source. The goal is to test the engine-generator, transfer switch equipment and other sub-systems, in a controlled environment. This exercise function is generally performed on a weekly or monthly basis, and the exercise period can range from 30 minutes to 1 hour. This test is simple, inexpensive and fully automated. However, although most facilities have a plant exercise event programmed into their equipment, few have it set to work as the equipment manufacturer would recommend. Will it climb the hill? When visiting smaller municipal or commercial facilities, I find that too many of them have programmed the generator exercise function to conduct “offload testing”. Offload testing is an optional setting provided on most plant exercisers. It starts the engine but does not transfer the load from the normal source to the emergency source. What does this achieve? Well, it will certainly test whether the engine can start, given a signal to do so, but it will not help determine whether the generator will actually carry the load. Why is it important that the exercise function allow the transfer switch to actually transfer the building loads to the generator? Some time ago, I was told that this would be similar to an individual that has just acquired a boat and has plans to use his existing vehicle to tow it. After installing the correctly-rated tow hitch, he proceeds to connect the boat’s trailer to the vehicle. He makes all necessary electrical connections, and even tests the turn signals and brake lights. Tire pressures are perfect… He’s ready to go! He starts the vehicle, which it does just fine, but… will he complete that 7-mile, steady climb en-route to his destination? Will the transmission overheat? Will the brakes fade? Will the automatic transfer switch transfer the load within the required time limits? Is it properly sensing the generator’s voltage and frequency? Will the transfer switch properly retransfer to the normal source when the exercise function is terminated? Engine cooling systems are rated to perform at a certain ambient temperature while under a certain load level. Is the cooling radiator system fouled? Will the water pump circulate the coolant mixture at the specified rate? Fuel systems can only be truly tested when the engines are running near full load. Fuel flow rates at no-load are only a fraction of the demand that will exist when the engine operates at 80% load. Will the fuel flow be sufficient? Are the filters clogged and possibly restricting the flow of fuel at the higher demand rates? Is the alternator overheating when under load? Is the generator operating at a steady speed, or is it fluctuating outside of the specified governed speed as loads change? It is well-known that diesel engines should not operate for extended periods of time at load levels below 60% of their rated output capacity. Light loading of diesel engines usually leads to wet stacking. Excessive carbon build-up on injector and valves, and oily drips on the exhaust piping, are all common indicators of issues related to improper combustion due to insufficient loads. The engine should be exercised under load for a long-enough period of time to allow it to attain, and stabilize at, its normal operating temperature. The automatic transfer switch controller should allow you to set it for a weekly “load test” event, and should provide enough flexibility to allow programming for the event to occur during times of the day when loads will be adequate, and when safety and maintenance personnel will be available. If you do not wish to disrupt your building operations by the short power interruptions associated with on-load testing, consider investing in a load bank. This article describes how a load bank can be connected to a generator to help fulfill test requirements. Consult with your vendors and establish plans of action for emergency situations. As an example, should a generator failure occur while undergoing a test event, the operator must know how to safely restore power by returning to the normal source. Have a professional service organization on site when you perform the first test event. It will make you more comfortable when you conduct future tests on your own. Test under load – test often! Whether large or small, it is imperative that emergency power systems be tested under conditions as close as possible to those it may encounter in real life. Developing test scenarios that simulate these conditions, and regularly testing against these scenarios will give the facility operator much more confidence about the equipment. If lucky, regular testing will also alert him/her to problem areas while in a controlled environment, rather than when the lights are out! Good luck with your test program, and please comment below if you found this article useful!